before the One from whom you came. you blazed where Life lay dead and cold. Protect me God, I turn to you for help. the idols of the land. simply add grief to their grief. to enjoy my place on the earth. I can never be shaken. my whole being rests securely. nor send your faithful one down to death. boundless joy as your companion for ever! R. If today you hear God’s voice, *do not harden your hearts. V. As on that day at Massah in the dessert, *do not harden your hearts. V. Glory to the Abba and to the Word and to the Holy Breath of Love. So is the Human One master even of the Sabbath. 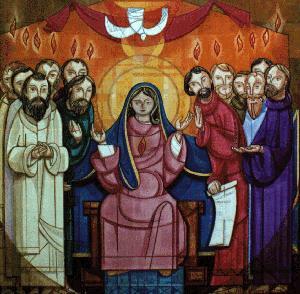 pour your Holy Spirit into our hearts. Fill us with awe and reverence for God and with love and compassion for our neighbor, for yours is the power and the glory, now and forever. ~Amen.